We’re partnering with Capital One to launch our new Purposeful Travel Hub. If you have unique ways you like to give back when you travel or just love exploring new places with family and friends, we want to hear about it. Share your most treasured travel moments and purposeful travel tips with us using #MeaningfulMoments. Every trip has a purpose. We travel for business and for pleasure, sometimes to relax or to explore, to accomplish work or completely unplug. So what exactly does it mean to take a purposeful trip? According to a new survey released today by Capital One, Americans are interested now, more than ever, in finding “meaning and purpose in their lives outside of their usual, daily routines.” And they are doing so by booking purposeful travel — meaningful and significant trips — that takes them out of the resort pool and helps them create transformative, once-in-a-lifetime moments instead. For some people — nearly 74% of the more than 2,190 adults surveyed — purposeful travel means “discovering something new about themselves” while traveling. “This research further reinforces our belief that straightforward travel rewards give people the flexibility to travel their way, allowing them to make connections and create memories that give our travels a true sense of purpose,” Lauren Liss, vice president of US card at Capital One, told TPG. Traveling with people, it turns out, is a huge part of what makes travel meaningful. Capital One reported that 92% of travelers have taken trips with the express purpose of reconnecting with, and spending quality time with, friends and family members. In fact, it’s one of the aspects of travel TPG himself finds most powerful: the opportunity to share amazing experiences with relatives and other loved ones. Survey responders also vocalized a desire for feeling fulfilled after traveling. And though it’s certainly not out of the question, that sense of satisfaction is harder to find alone, sipping mai tais on the beach, than doing things you consider rewarding with people you care about. It’s a trend that’s already playing out in the travel industry. Earlier this month, Intrepid Group, a travel company known for its “purpose beyond profit” motto, launched a new line of tours designed specifically for millennial travelers, with a focus on sustainable and socially conscious activities. 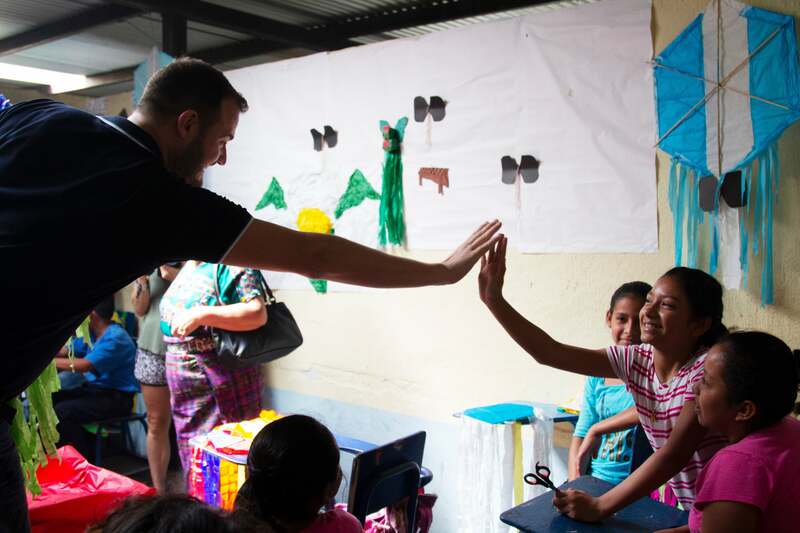 Brian Kelly visits a school affected by the catastrophic eruption of Guatemala’s Fuego volcano. In addition to self-discovery and strengthening ties with important people in your life, purposeful travel can help you forge new connections with different cultures. Nearly eight in 10 travelers surveyed by Capital One plan to take a trip that “allows them to connect with local culture.” And though that can certainly mean a far-flung journey to interact with residents of a foreign nation, it can also mean getting to know different people in new states, cities — even neighborhoods of the town you call home. Because really, purposeful travel has nothing to do with where you go. It’s all about how the trip transforms you, or the people you interact with, along the way. That’s one of the reasons purposeful travel is often associated with philanthropy. “Meaningful travel to me is when I get to immerse myself in the culture by really spending time with locals and giving back,” said Kristen H., another TPG reader. “It’s rewarding travel!” For Kristen, that means traveling expressly to volunteer. 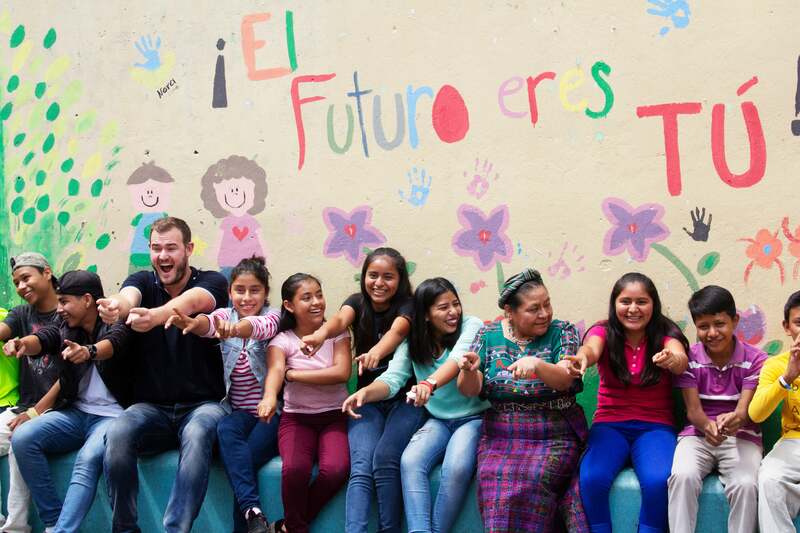 Charitable projects (think: voluntourism) have become a huge part of the purposeful travel sector. The nonprofit Para La Naturaleza in Puerto Rico, for example, helps connect travelers with volunteer opportunities near San Juan. With a focus on environmental recovery, PLN organizes tree-planting events and similar activities for visitors on the ground. Like the TPG team, travelers can also seek out continued efforts to rebuild and restore Puerto Rican beaches and buildings. 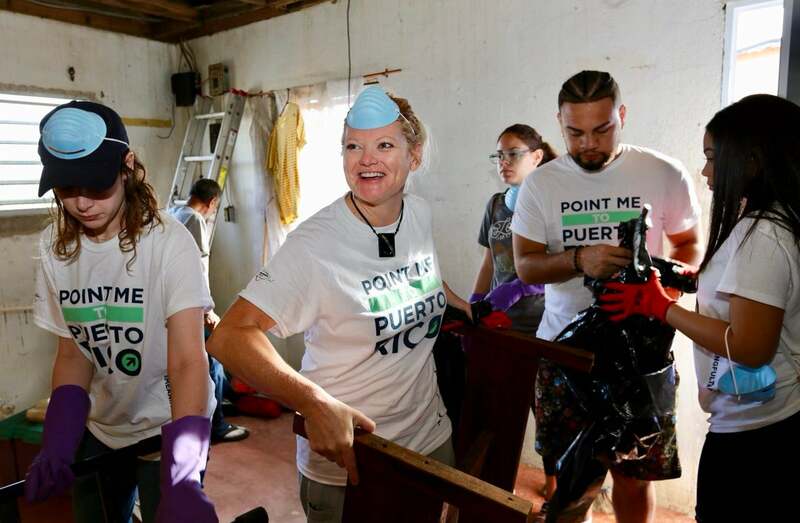 TPG crew helps rebuild destroyed homes in San Juan’s La Perla, Puerto Rico. Donating time during your travels is certainly one way to make the entire experience more meaningful for you, while also bettering the lives of the people (or plants and animals!) you helped. Another way to think about it? According to TPG reader Jerrod K., seeing the world with a purpose is simply the difference between being a tourist and being a traveler “experiencing the world.” It’s getting out and doing, rather than watching the world from your hotel window. That’s why, for the next six months at TPG, we’re partnering with Capital One to launch a national conversation about traveling with purpose, and to help globetrotters everywhere discover all the ways they can find meaning while seeing the world. “The greatest gift of traveling is collecting stories along the way,” said Andy Navarrete, executive vice president of external affairs at Capital One. “From the people we meet to the adventures we take to the food we eat, travel is about meaningful moments that bring out the best in us and change who we are,” he added. Whether you’re motivated by an appetite for authentic, regional cuisine or an interest in local cultures; focused on humanitarian service, sustainability and conservation during your travels; interested in achieving physical and mental wellness goals; or simply growing closer to the people you love, every trip can have purpose. We’re here to help you find what purposeful travel means to you.